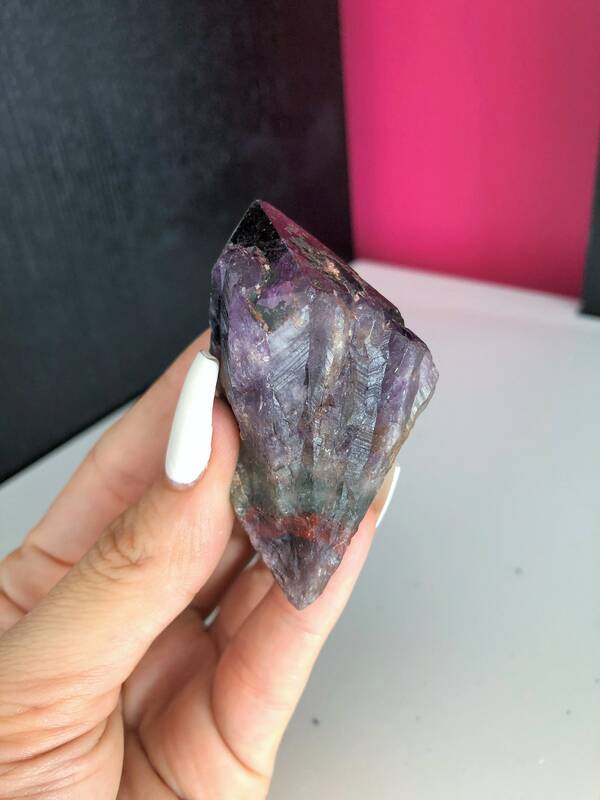 Get this beautiful Melody Stone which is made up of the energy from seven minerals Amethyst,Clear Quartz, Rutile, Goethite, Cacoxenite, Lepidocrocite and Smokey Quartz Crystal. 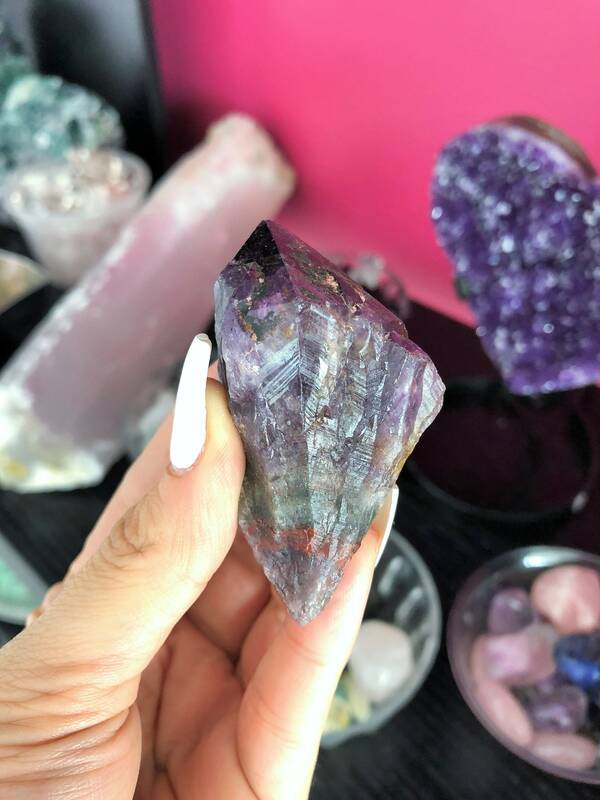 The combination of these energies interwoven into one stone makes this an extremely high vibrational stone for both Healers and those on the spiritual path. 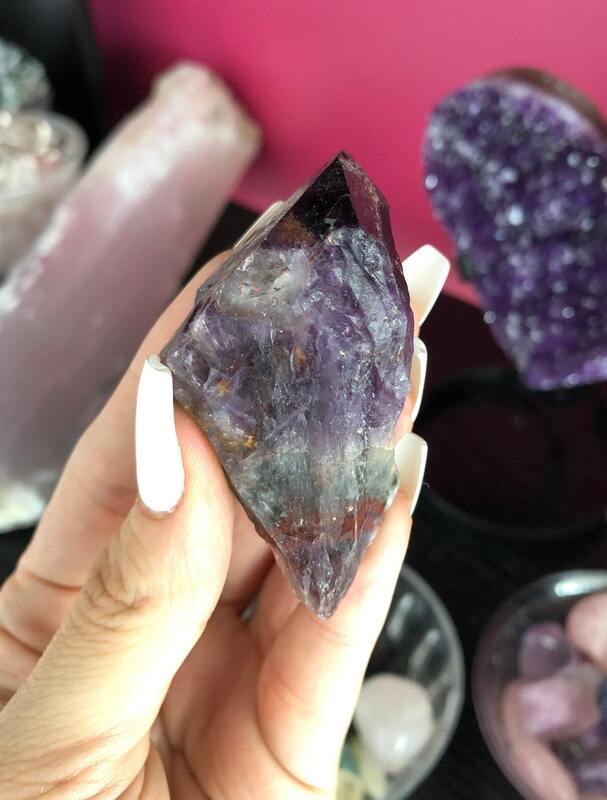 Contained within The "Super Seven" is a "flambeau" mineral which is known to exhibit, the phenomenon of St. Elmo's Fire, and ethereal auric light reminiscent of the "holy light" which has been seen due to atmospheric electricity on church towers and treetops. 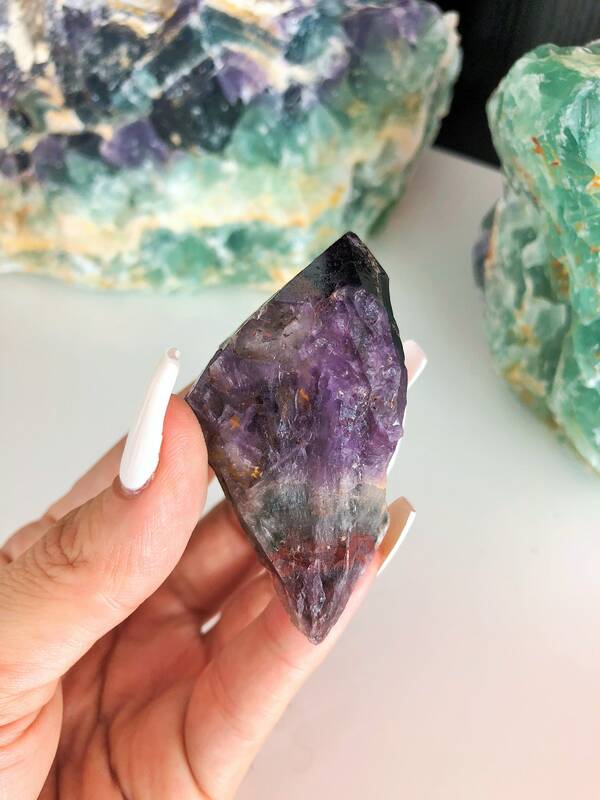 It produces electromagnetic waves providing the self-luminous quality and assists one in "seeing" auras and in maintaining the connection between the physical and ethereal planes. 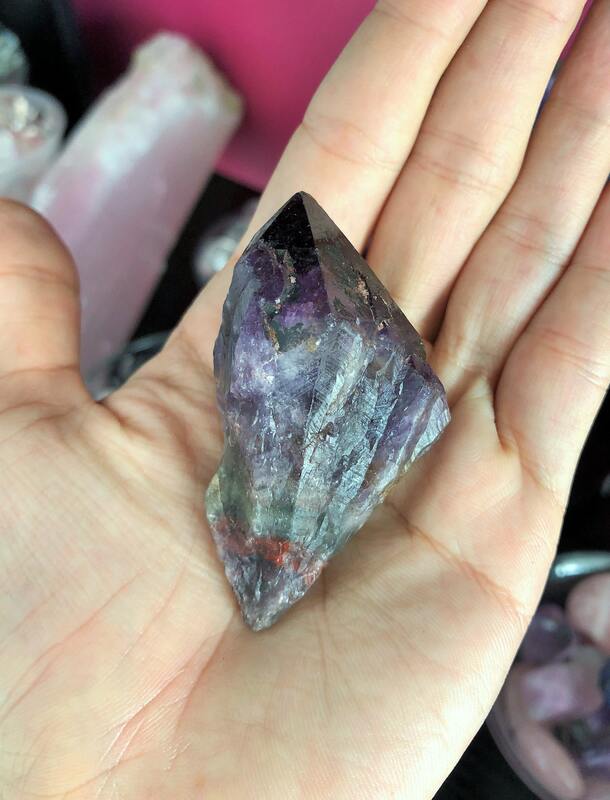 This Listing includes the ONE large super seven crystal. The same one displayed in images.